A trip to Ford's factories reminded Deere leaders of the importance of creating products that meet customers’ needs. Theo Brown, Deere & Company’s lead designer, first met Henry Ford in August 1916 at the National Tractor Demonstration in Fremont, Nebraska. Although Henry Ford will forever be known for his introduction of the Model T automobile, he also had a great interest in mechanically-powered farm vehicles. In 1917 Ford launched the Fordson tractor, selling them first to the British Army to support efforts during World War I, and then making them commercially available in the United States in 1918. Industry tractor production in the United States grew from 62,742 tractors in 1917, to 132,697 in 1918. That figure would grow to over 200,000 in 1920. It was estimated that in 1918 half of the tractors on American farms were Fordsons, increasing to more than 75% by 1921. Despite acquiring the Waterloo Gasoline Engine Company in 1918 – more than 5,000 Waterloo Boy tractors were sold that year – Deere & Company’s sales were still dwarfed by Ford. What Henry Ford did not have was implements—nor did he plan to build any. At the time, Deere & Company had redesigned much of its implement line to work with both horses and tractors. Theo Brown, Deere’s lead designer, first met Henry Ford in August 1916 at the National Tractor Demonstration in Fremont, Nebraska. The Fordson was a disruptive tractor based on its low price of $750, but leadership at Deere was more concerned with Henry Ford’s resources. “Ford’s active entrance into the tractor business means unlimited capital and resources for marketing…” wrote President William Butterworth in 1916. 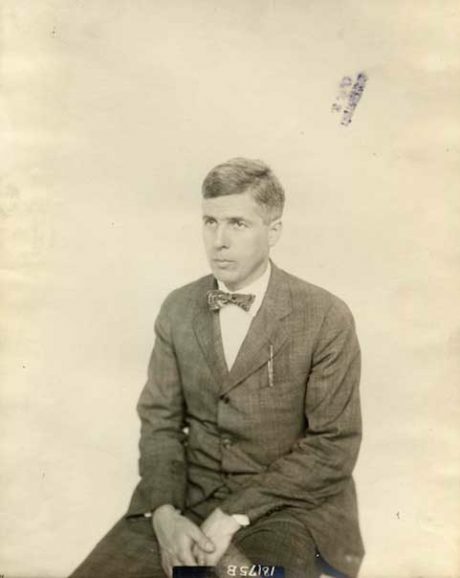 Floyd Todd, manager of Deere’s Marseilles Works, accompanied Theo Brown to Dearborn, Michigan, to woo Henry Ford. 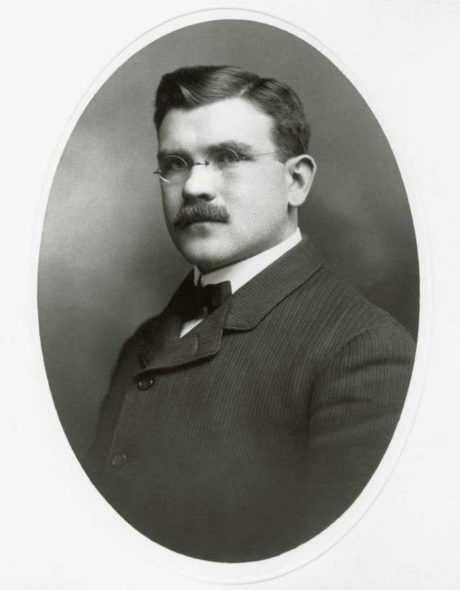 Three years later, Floyd Todd, manager of Deere’s Marseilles Works in East Moline, Illinois, and Brown were invited to the Ford factories in Dearborn, Michigan, for a tour of the plants, the redesigned Fordson tractor, and an extensive discussion of designing John Deere plows for Fordson tractors. According to Todd and Brown, the plants were impressive, the opportunities were limitless, and the volumes would be hard to pass up. “Ford says frankly that the best plow that has been made for the Fordson tractor is the JOHN DEERE,” they reported. In addition, Henry Ford wanted Deere to build a new grain binder and a drill for the Fordson tractor. Yet Henry Ford was discouraged by Deere’s overtures, saying they did not “have the proper vision.” He noted that an initial production of 1,000 plows was “ridiculous” and that instead, Deere should be building 100,000. Deere produced plows for Fordson tractors, but not exclusively, and in limited numbers. Todd and Brown did just that. Ford made his money with two products, an automobile and a tractor, one-size-fits all. Deere, on the other hand, “had to make practically everything that a farmer needed on the farm and find a channel through which this great variety of implements could be marketed,” according to Todd and Brown’s report. Deere did make plows for Fordson tractors, but not exclusively, in limited numbers, and on its own terms. Sales of the Waterloo Boy tractor continued, and in 1923 was succeeded by the Model “D,” which remained in the line for the next 30 years. The Fordson tractor continued to dominate the market for a few more years. But refusing to respond to changing customer needs, Ford made the decision to discontinue production in the United States in 1928. The long-term commitment by Deere to its customers and dealers, combined with a focus on how the business was operated, once again won the day. One-hundred years later, John Deere is even more committed to its long-standing commitment to customers around the world. If you enjoyed reading about this historical John Deere moment, you might also like reading one of the stories below.